Add a touch of royalty to your tone. 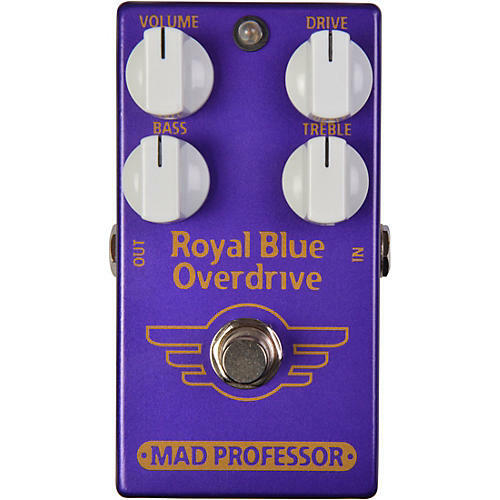 The Mad Professor Royal Blue overdrive offers a wide range of tones from light overdrive into distortion and at lowest Distortion knob setting works as an EQ. It can also be used to create tube amp-like crunchy ‘strike hard for distortion’ effect. There is not much filtering on the overdrive, to provide a transparent tone that you can tailor with both the Treble and Bass controls.